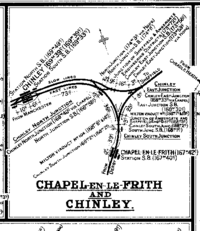 The Midland Railway is well known for the detailed maps it created of its whole system. 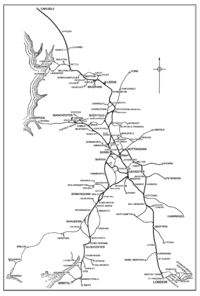 We have information on a the following Midland Railway maps. 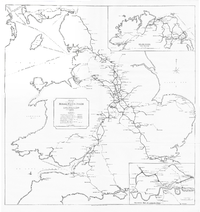 A Midland Railway system map based on Working Timetables of the First World War era. Midland Railway Distance Diagrams. The Midland Railway produced detailed maps of its whole system showing distances of every station and junction from St. Pancras. They were re-published at a slightly reduced scale in a series of A4 soft-bound books. The books are now out of print, but you may be able to find them at a specialist second-hand book dealer. The Midland Railway Study Centre holds many maps of the Midland Railway system. There is an extensive collection of “2 chain plans”; that is maps at a scale of 2 chains to an inch or 1:792. The Study Centre also holds detailed plans of junctions, signal box diagrams, Ordnance Survey maps and originals of the Distance Diagrams.